As a Construction Supervisor, David works with a team of project managers to deliver consulting services to clients. His responsibilities include coordination between architects, engineers and general contractors to ensure the efficient advancement of construction projects. In addition, he is responsible for the general operations of specific projects, working in the field daily to monitor project activities. David is currently working on The Smith project in Boston’s South End. 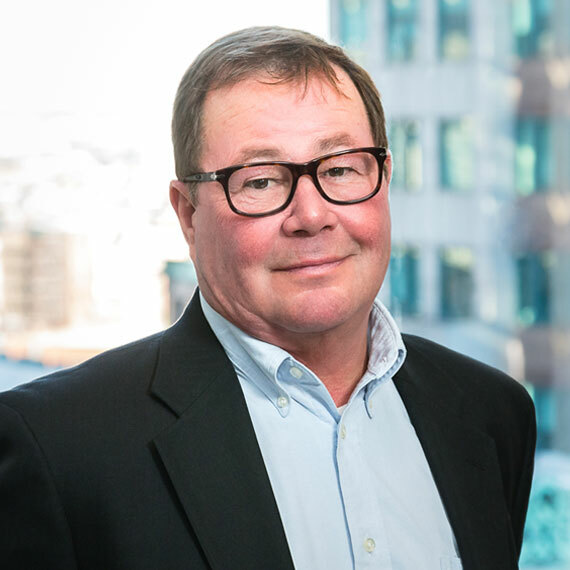 David brings 30 years of experience to Leggat McCall Properties. Previously he was employed by Gilbane Building Company. He has led project teams throughout the Northeast as a construction manager and project superintendent. He has experience working as an OPM on buildings, roadways and utility projects as well as a residential home builder and as a former union carpenter.